On a Tuesday morning, the streets are relatively quiet on Gundeldingerstrasse in Basel, Switzerland. Not quite a hole-in-the-wall, but not quite an enormous factory stands Unser Bier (Our Beer), a local brewery that dates back to 1998. Walking in, the energy is contagious. Located next to the spacious main hall complete with a bar and ample seating, the brewery bustles with employees, student interns, and whirring machines. On a table next to the brewers dashboard, an assortment of Unser Bier products is displayed, including an Espresso Stout, a Christmas Beer, and an Amber Beer. "[Our beer is] organic. It's not filtrated. It's not pasteurized," said Luzius Bosshard, CEO of Unser Bier. "Normally other breweries will do this [offer filtrated or pasteurized beer]." Unser Bier's products are also locally-sourced. By offering locally-sourced products, Unser Bier is going after a lucrative market - millennials. "The young people ask for local products," Bosshard said. Swiss millennials are willing to spend extra on such products, according to Bosshard. "So we look around, [see] what we can take for beer from the region. We've produced cherry beer because nearby we have a lot of cherries. With pumpkin, last autumn with a farm nearby, we produced pumpkin beer...about 7,000-8,000 bottles. Two weeks, sold out." Setting millennials as a target demographic means taking a more experimental approach with their beers. "We are innovative with beer," Bosshard said. "We have [done] IPA, pale ale, and craft beer. We've done a beer with coffee...Young people are more and more interested in beer and not [anymore] in vodka or something like that." 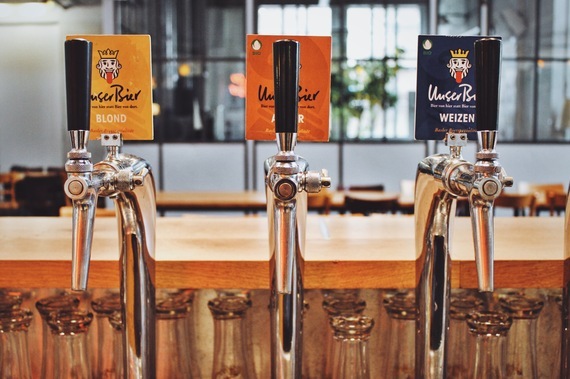 In Switzerland, where wine culture is stronger than beer culture and the craft beer industry is still young, according to Bosshard, Unser Bier is part of an exciting new movement. Bosshard said that the term 'craft beer' has only been in use in Switzerland for the past two or three years. "You have in the States, [a lot of] craft beers because you have small breweries and they will do 2,000 liters. They have a lot of change in the offerings of beer." Though this market is young in Switzerland and not as developed as the United States', the demand is increasingly strong, according to Bosshard. "More and more, the restaurants see that the young people want to have something other than the big breweries and that's our chance," Bosshard said." The increasing interest in beer, and the art of beer production in Switzerland mirrors the growing craft beer market in the U.S.
With an annual growth rate of 18.8 percent from 2010-2015 according to an IBISWorld report, craft beer has been increasing in popularity in the U.S., cutting into the market share of mass-produced beers. With an 11 percent share in the U.S. beer market in 2014, according to a Brewers Association report, craft beer has transformed from a subculture to profitable business. It is not completely clear whether craft beer and mass-produced beer are complements or substitutes, said Patrick Emerson, an economics professor at Oregon State University and beer enthusiast. "From the [very limited data] I have seen, it appears that, as you would expect, they are substitutes. It looks like the classic definition is satisfied: lower the price of craft beers in stores and more is sold and less is sold of macro brews - but the data are weak. The long term trend are also in opposite directions which might tempt you to conclude that there is some causality there," Emerson said. "But I think the dynamic is still a bit complicated as many craft beer drinkers started with macros - so there could be [complementary] in the sense that an individual might be more likely to drink craft beer that drank macros than no beer at all. But no data to test this hypothesis." Part of craft beer's appeal lies in its culture, Emerson said. "There is also a cultural aspect to it," he said. "To be young and hip means to be a craft beer drinker in many parts of the country now. Macro lagers are your father's and grandfather's drink." While Emerson said that craft beer's appeal will not be lost from increased popularity, individual breweries risk losing popularity from becoming too big. "As with anything, people like to think they are a part of a small in-group and that is part of the appeal with craft beer as well." 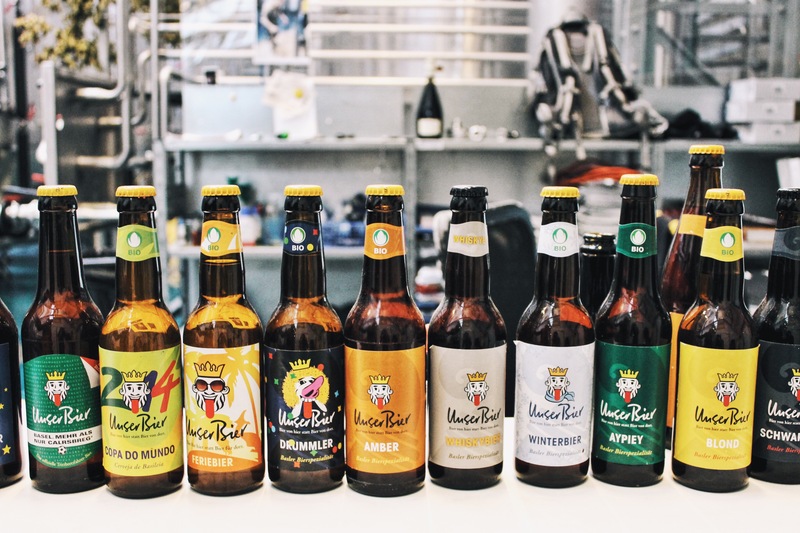 In Switzerland, the younger population is becoming increasingly interested in home-brewing, though successfully starting your own beer company is not easy. While people can produce a lot of beer at home, home production is not sustainable in the long run. "They have to look for a new hall and to invest in a lot of money...They will give papers, shareholder papers. They sell this to get money," Bosshard said. "It's difficult to get money from private people. Then you go to the bank. The bank says, 'Why do we have to give you two million?' They don't give you any more money because the money market is very difficult in Switzerland." Meanwhile, in the U.S., the number of craft breweries has quickly grown from 1,574 in 2008 to 3,464 in 2014. As the U.S. craft beer industry matures, the quality of the beer also increases, Emerson said. The improvement in quality consequently attracts new customers. "The average skill of the brewers has improved astronomically, as have the amount and quality of ingredients available to them," Emerson said. "They are no longer making huge, intimidating beers exclusively, but are now making exceptional 'entry-level' beers and thus attracting many new customers." For now, Unser Bier has not set sights on expansion to foreign markets, Bosshard said. 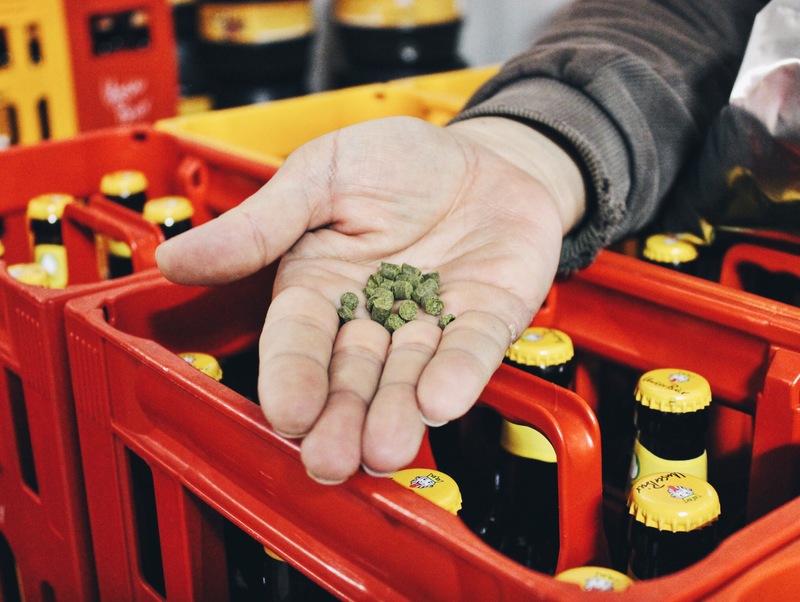 "It's not possible because the price we have in Switzerland for this beer, nobody will buy this in Germany, [or] in France because the beers there are so cheap," he said. "And then to export to these countries, you have taxes, so it's a luxury product in this country. Our living standard in Switzerland is very high. We [Swiss] earn a lot so we can pay these prices. But when you go to Germany and offer a price like [you do] in Switzerland, they say that you're stupid and it's not possible." Unser Bier keeps its operations lean - there are eight employees under contract at the company and 10-15 salaried students. "It's like a big family who is interested in producing beer, good products, and [with] good quality," Bosshard said. 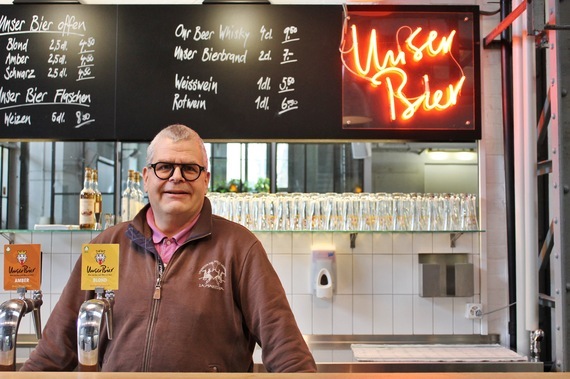 While the number of employees is small, the number of people investing in Unser Bier is large. Unser Bier boasts approximately 9,000 shareholders, most of them from Basel and the surrounding region. Bosshard said that instead of giving their shareholders money, the dividends come in the form of beer. "They come for the meeting, shareholder meeting nearby and about 2,500 shareholders come to the meeting to get the dividend. That's the free beer. So they will drink about 10 glasses this evening." Bosshard said he draws some of his inspiration from U.S., the United Kingdom, and Australia for craft beer. "When they have something new on the market, you have to try it," he said. Bosshard stressed the importance of open-mindedness and experimentation. With experimentation comes lessons to learn from - the cherry beer that Unser Bier produced was not a hit with customers. "It's okay, the beer is red, it's a little bit sweet, but it wasn't a success. This year we took it away and produced something new, a pale ale for summertime," Bosshard said. "You have to be optimistic. You have to try."